Heidi Blickenstaff has a string of stage credits from national tours, off-Broadway and Broadway. She originated the role of Bea in Something Rotten on Broadway in 2015. She also originated the role of herself in [title of show] which moved from off-Broadway to Broadway in 2008. In November of 2016 she starred in the new musical, Freaky Friday at the Signature Theatre in Washington D.C. Other Broadway appearances include The Full Monty, The Little Mermaid, and The Addams Family. Heidi also played Cleo for the City Center Encores! Staging of The Most Happy Fella. Regional theatre includes Meet John Doe at Ford’s Theatre in Washington, D.C. (for which she won a Helen Hayes Award), The Girl in the Frame at Goodspeed Opera House, Bat Boy: the Musical at Theatreworks in Palo Alto, CA., Next To Normal (Weston Playhouse), Elf the Musical (Papermill Playhouse), Dog and Pony at the Old Globe Theatre and First You Dream: the Music of Kander and Ebb at the Signature Theater in Arlington, VA. She appeared in touring productions of The Full Monty, Jekyll & Hyde, Steel Pier, Dreamgirls, and The Who’s Tommy. She can be heard on the cast recordings of [title of show], now. Here. This., Meet John Doe, The Little Mermaid, and Something Rotten! She has also appeared in film and television. She has won The Helen Hayes Award, an Obie Award, a Drama League Award, Broadway.com Audience Awards, and the Outer Critics Circle Award. 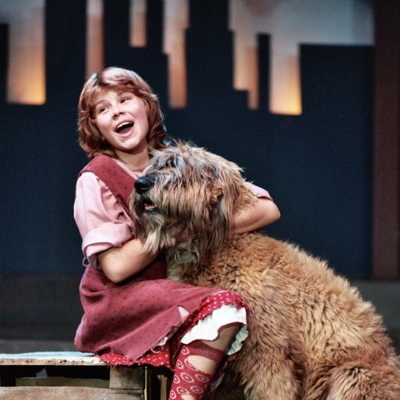 Heidi was a member of GCP’s Junior Company from 1981-1985 and performed in GCP’s mainstage productions of Annie, Sh-Boom!, Cohan & Company, Hello, Dolly!, 42nd Street, Little Shop of Horrors, and Anything Goes!, from 1983-1989.